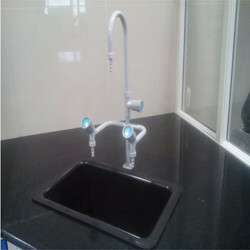 We are a leading Manufacturer of pp sink 3 way tap, pp rectangular laboratory sink, pp square laboratory sink and laboratory work table sink unit from Coimbatore, India. We are the Leading Manufacturer and Exporter of PP Sink 3 Way Tap in Coimbatore, India. We have gained immense expertise in delivering Sink Unit to our clients. The offered range of sink units is available in different designs, shapes and sizes to cater to the diverse requirements of esteemed clients. Along with this, the offered range of sink units is applicable in restaurants, hotels and for domestic purposes. The offered range is ideally utilized for manually and hygienically washing different kitchen accessories. We are the Leading Manufacturer and Exporter of PP Rectangular Laboratory Sink in Coimbatore, India. 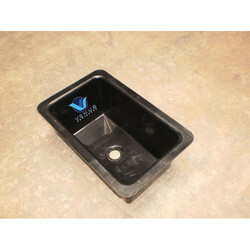 We offer our clients a wide range of PP Square Laboratory Sink that is used in laboratories. These are extensively used for manually and hygienically washing different laboratory accessories. 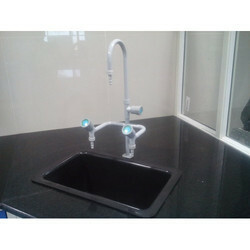 We are the Leading Manufacturer and Exporter of Laboratory Work Table Sink Unit in Coimbatore, India.